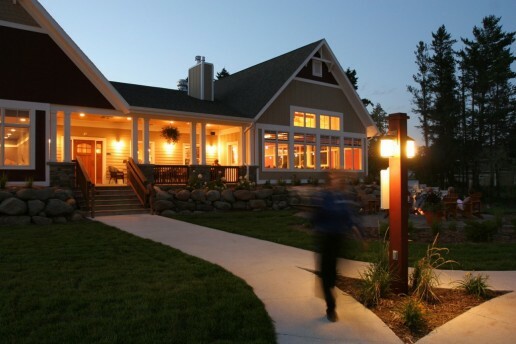 A luxurious resort located on spectacular Lake Superior shoreline, just 20 miles from Duluth, Larsmont Cottages offers an ideal setting and luxury accommodations for any event. Whatever the occasion, choose Larsmont Cottages on Lake Superior and be assured of a unique and memorable event on the North Shore. Book your group’s 2018 retreat before September 1, 2018, to take advantage of this great offer! This promotion only applies to new bookings. Make Larsmont Cottages exclusively yours. Our professional, planning team will take the stress out of your meeting planning, while you receive unlimited access to our private meeting room, gathering room, pool and fitness area, Ledge Rock Grille/Lounge and Outdoor Whirlpool. Bring your clients or employees to the most luxurious resort on the North Shore and let Lake Superior spark your creativity like no boardroom ever could. Our private meeting areas make doing business easy. You’ll experience the perfect blend of work and activity. Does work only have to be work? Work and Play Where You Stay! Authentic Wood Fired Sauna, Geo-Caching, Rock Hounding, Massage, Bocce Ball, Croquet, Horseshoes, Swimming, Outdoor Whirlpool, Bonfires/S’mores, Board Games, Fitness Center, Introduction to Dog Sledding, Sleigh/Hay Rides, Indoor/Outdoor Kayak Lessons, Yoga Classes, Narrated North Shore tours, Draft Horse Workshop/Wagon Ride, Eco Tours of the North Shore, Snowmobile Trails nearby, Cross Country Skiing – 3miles, Trek Bikes, Guided Hiking Tours, Relaxing by the fireplace. ** Additional charges may apply for certain activities requiring outside staff. Larsmont Cottages offers the perfect setting to host your next family reunion. The backdrop of Lake Superior and the great North Woods will inspire the kid in everyone and bring you back to the good old days. With luxurious accommodations for groups of all sizes, activities and adventures for every age and a menu at the Ledge Rock Grille sure to please everyone’s tastes, the only thing you’ll need to do is sit back and enjoy reconnecting. Book your 2019 family reunion before August 31, 2018, to take advantage of this great offer! The Larsmont Cottages Challenge Course is a series of events designed to be used as tools to present a specific problem for the group to conquer. The challenges develop a group’s skills including leadership, trust, communication, and problem-solving. Contact us for more information, quotes and reservations.